Energean is seeking approval from Cyprus for the Greek oil and gas firm to build a pipeline from its Israeli offshore gas fields and import 0.5 to 1 billion cubic metres of gas a year to the island, Energean's chief executive said on Thursday.Energean, which listed on London's main stock exchange this year, has committed $1.6 billion to the Karish and Tanin fields which have potential reserves of 2.4 trillion cubic feet of natural gas and 32.8 million barrels of light oil and condensate.It estimates the five blocs it owns around Karish and Tanin contain an additional 5 trillion cubic feet of gas. Oil majors Exxon Mobil, Total and Repsol are among members of two consortia that have submitted bids to explore for oil and gas off Greece. Greece's oil and gas resources management company (HHRM) said on Monday that Exxon and Total, each with 40 percent stakes, and Hellenic Petroleum had jointly bid to explore off Crete, while Spain's Repsol and Hellenic Petroleum had submitted a joint bid for a block in the Ionian Sea. Greece launched the tenders last year after expressions of interest by the Exxon-led consortium for the two sites off Crete and by Greece's Energean for the Ionian block, although Energean has since withdrawn. Greece's parliament gave the go-ahead on Wednesday for companies including France's Total and Italy's Edison to explore for oil and gas in the west of the country. Licences for four blocks - one offshore and three on land - were awarded in 2016 but had to be ratified by parliament for exploration work to begin. 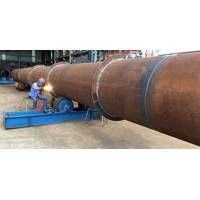 Encouraged by recent large gas finds in the eastern Mediterranean, Greece is eager to attract investment in its energy sector as it tries to emerge from years of economic crisis. Western Greece is an underexplored area and very little data exists on its hydrocarbon potential. Tenders for offshore oil and gas exploration and exploitation west and south of Greece have attracted "strong interest" from companies exploring in the Mediterranean, the head of Greece's oil and gas resources management company said on Wednesday. Greece launched the tenders after expressions of interest by a consortium of Exxon Mobil, Total and Hellenic Petroleum for two sites off the island of Crete and by Greece's Energean for a block in the Ionian Sea. Offers must be submitted to the Hellenic Hydrocarbons Resources Management (HHRM) company. Greek energy firm Energean said on Tuesday it signed three new deals to sell natural gas from the Karish and Tanin offshore fields to Israeli companies. The deals were signed with Dorad Energy Ltd and two subsidiaries of the Edeltech Group, Ashdod Energy and Ramat Negev Energy. Energean's deal with Dorad is for the supply of up to 6.75 billion cubic metres (BCM) of gas over at least 14 years, while Ashdod and Ramat Negev will get up to 2.65 billion cubic metres together. Financial details for the deals were not included. The Karish and Tanin fields, located off the coast of Israel, are expected to go online in 2020. Greek oil producer Energean has exceeded its target for gas sales contracts needed before it goes ahead with plans to tap two gas fields off Israel's coast, market sources said on Wednesday. Energean bought the Karish and Tanin fields, located in deep waters around 100 kilometres off Israel's coast, last August for $148 million from U.S.-Israeli partners Delek Group and Noble Energy. 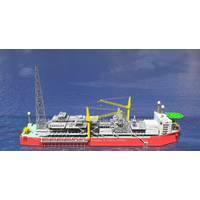 It plans to lease its own floating production, storage and offloading vessel and build a separate pipeline to Israel at a cost of up to $1.5 billion. Greece launched two tenders on Monday for offshore oil and gas exploration and exploitation in the west and south of the country, the energy ministry said. The move follows expressions of interest by a consortium of Total, Exxon Mobil and Hellenic Petroleum for exploration in two sites off the island of Crete, and by Greece's Energean for a block in the Ionian Sea in western Greece. Investors will have 90 days to submit offers to the Hellenic Hydrocarbons Resources Management (HHRM) from when the announcement is published in the European Union's official gazette. Spain's Repsol has entered a so-called farm-in agreement with Energean Oil & Gas for a 60 percent stake in two onshore blocks in western Greece, Energean Oil said on Friday. Under a farm-in agreement, an oil and gas company acquires an interest in a lease owned by another group. Repsol will become the operator of the Ioannina and Aitoloakarnania blocks and plans to acquire seismic surveys over the areas in the 2017-2019 period, Energean said. 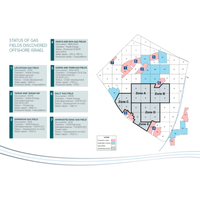 Energean, Greece's sole oil producer, holds an exploration licence in Ioannina and is expected to acquire one for the other block. Montenegro awarded Greece's sole oil producer Energean Oil & Gas a 30-year oil and gas exploration licences in two offshore blocks in the Adriatic sea on Wednesday. The contract for the blocks covering 338 square km was awarded in line with the terms of a 2014 tender. The Balkan country produces no oil but initial data indicates it could have enough resources to cover its oil and gas needs. Vladan Dubljevic, the head of Montenegro's Hydrocarbons Directorate, told Reuters borehole drilling would begin as soon as the Greek company completed the project design, environmental impact assessment and seismic screening. Hellenic Petroleum has been named preferred bidder for an offshore gas drilling block in western Greece, the country's largest refiner said on Tuesday. Greece has made several fruitless attempts over the last 50 years to find big oil and gas reserves. It has stepped up its efforts in recent years, prompted by a prolonged debt crisis and important finds in other countries. 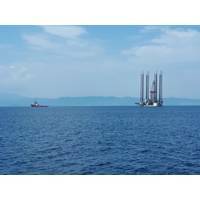 Athens tendered 20 offshore blocks in 2015 in the Ionian Sea and south of the island of Crete for deep sea oil and gas drilling and unsealed the offers in February. The partners in Israeli offshore gas fields Tamar and Leviathan have agreed to sell their rights in two smaller fields to Ocean Energean Oil and Gas Ltd for $148.5 million to comply with a government requirement. Delek Group, which has controlling interests in several gas fields in the eastern Mediterranean, is being forced by the government to sell off some assets in an effort to open the sector to competition. Energean will buy Texas-based Noble Energy's 47.06 percent stake in the Tanin and Karish fields and the rest from Delek subsidiaries Avner Oil Exploration and Delek Drilling, Avner said in a statement on Wednesday.